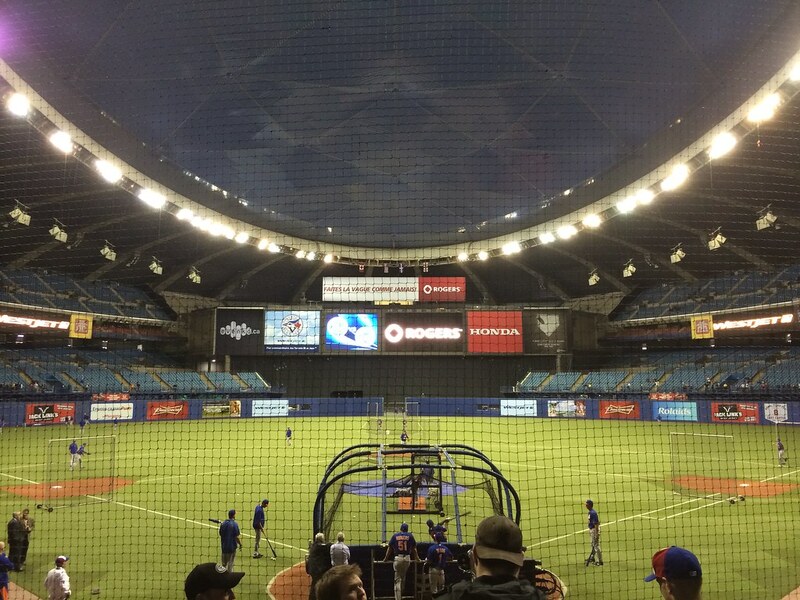 The view from behind home plate at Olympic Stadium. 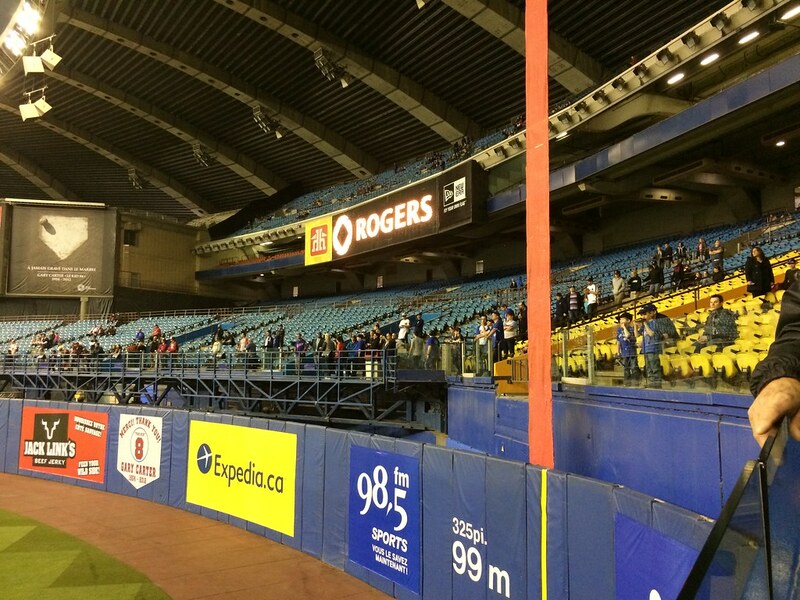 The grandstand at Olympic Stadium, as seen from center field. 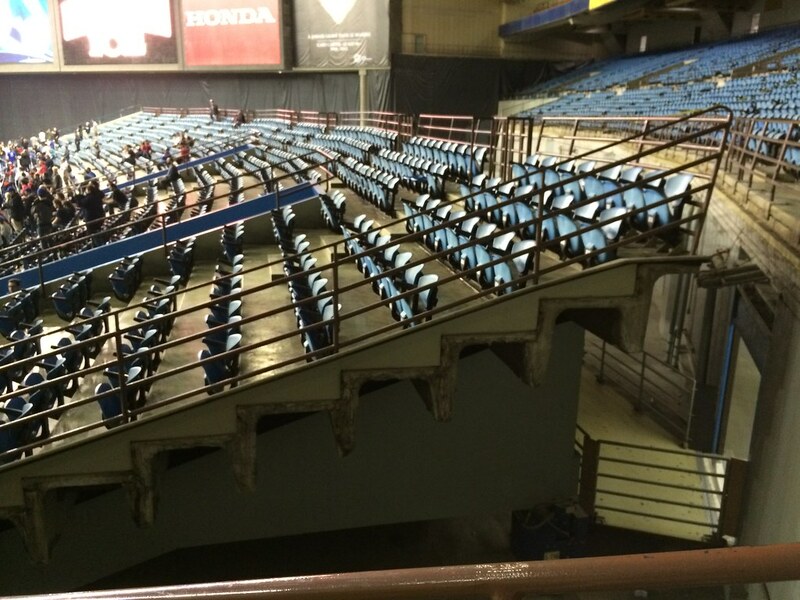 The pressbox and suite level, hanging underneath the upper deck. 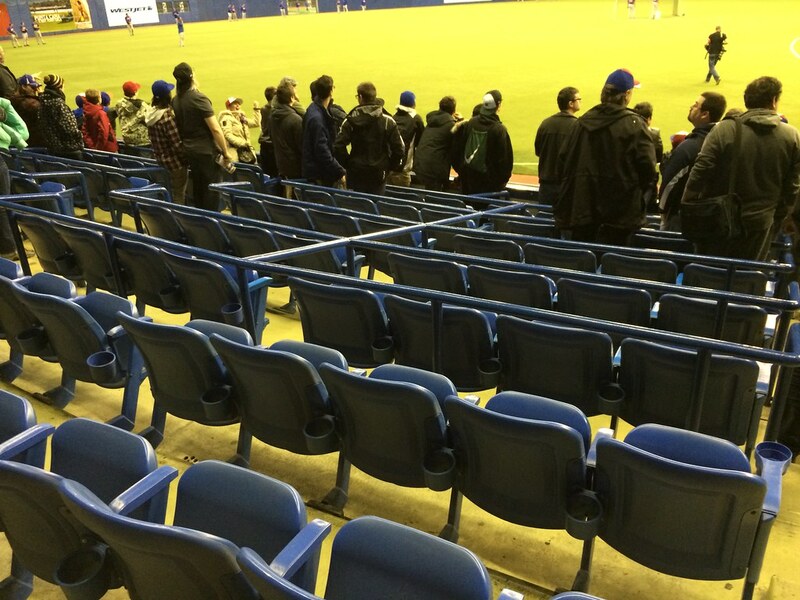 The "boxed seats" closest to the field are actually boxed off by metal railings. 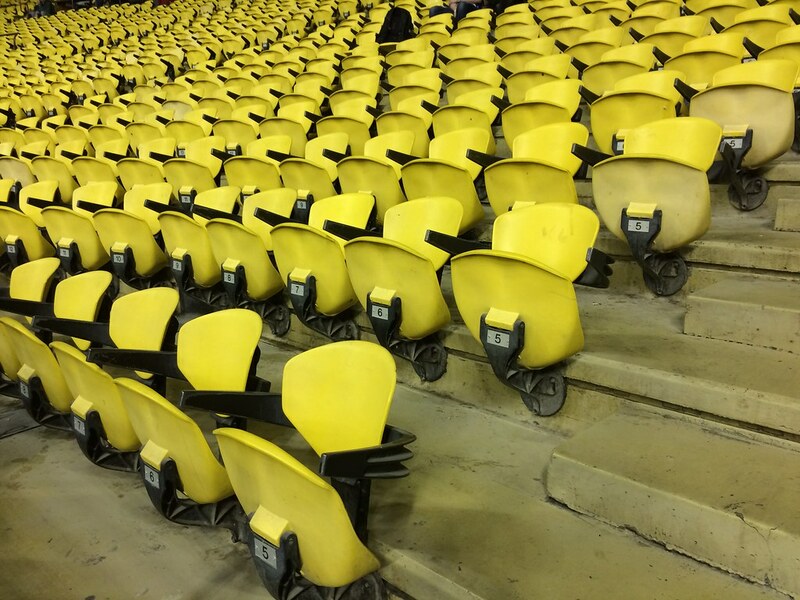 Most of the seating is made up of unique small fold-down seats with rounded backs. 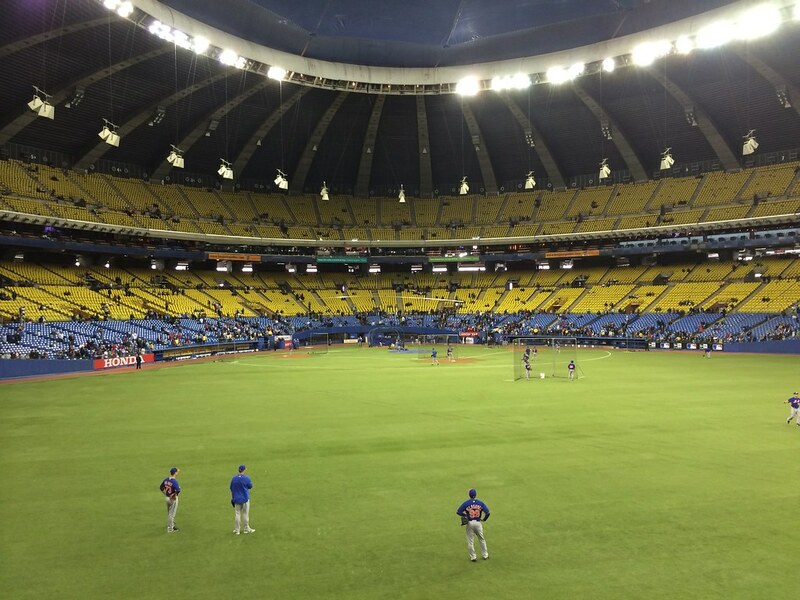 The bleachers behind the center field wall can be rolled out to the field when it is used for baseball, and rolled away when it is used for football or soccer. 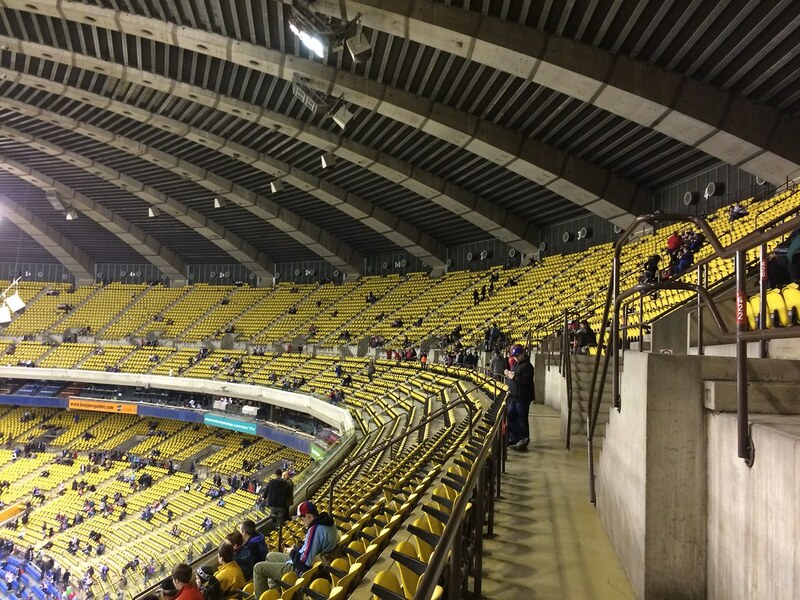 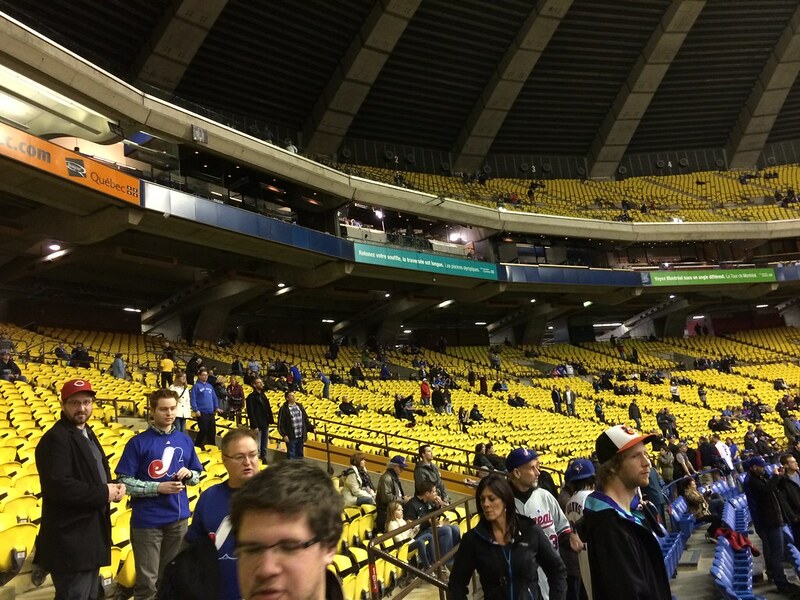 The steep upper deck at Olympic Stadium. 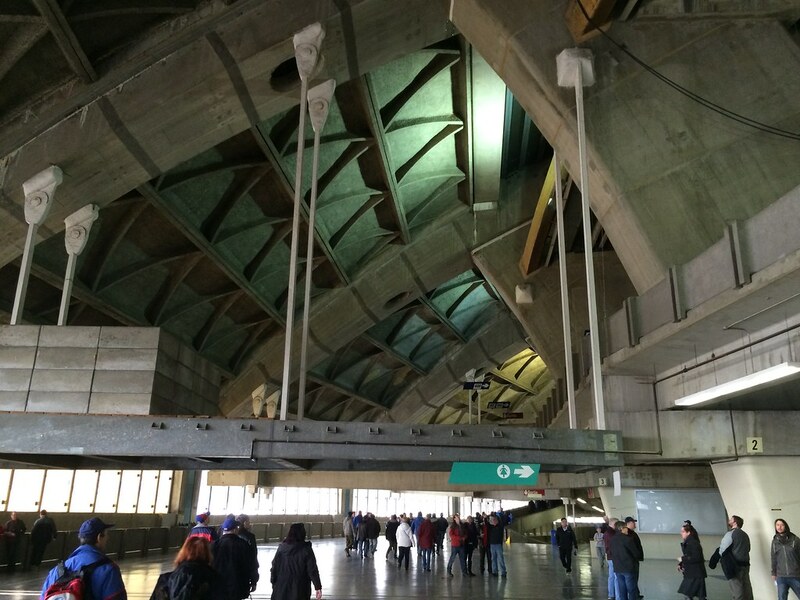 The unique concrete architecture of the upper concourse. 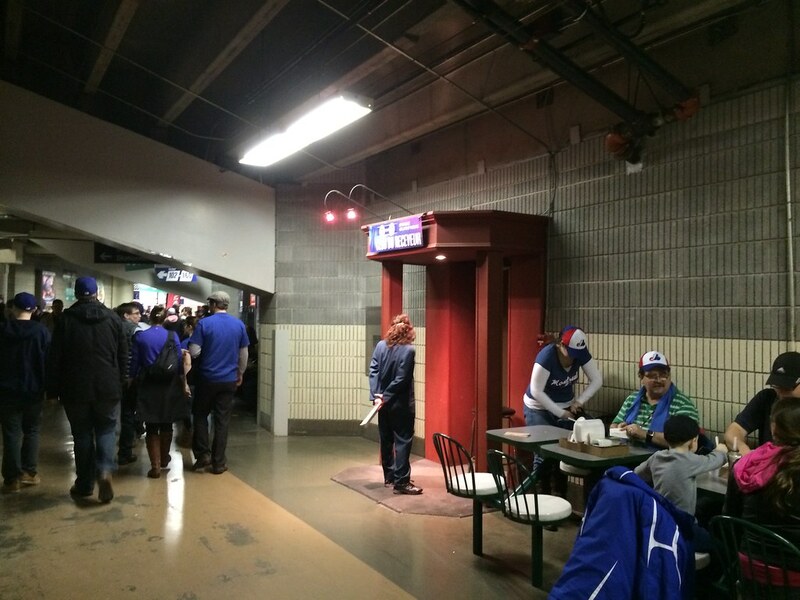 The entrance to the Catcher's Club seats behind home plate looks like the entrance to an exclusive club, complete with a bouncer and a list. 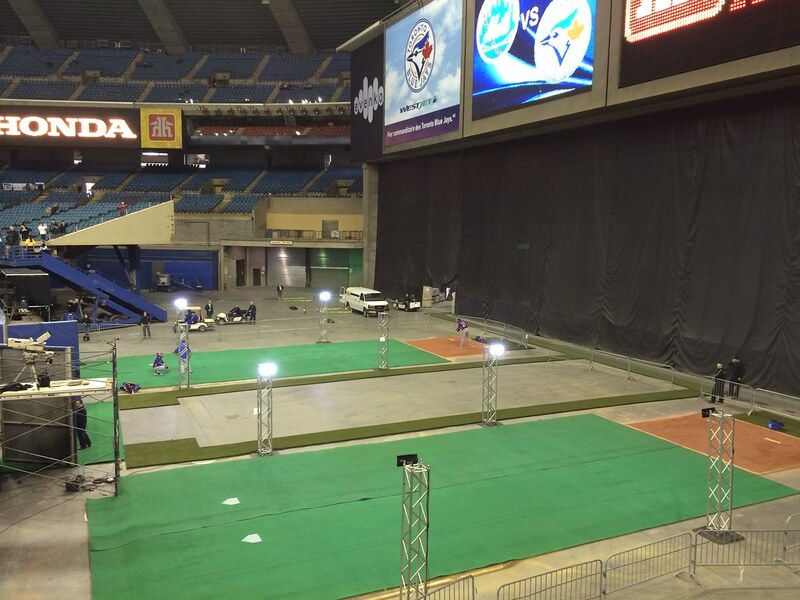 The Catcher's Club suite and the large amount of foul territory behind home plate. 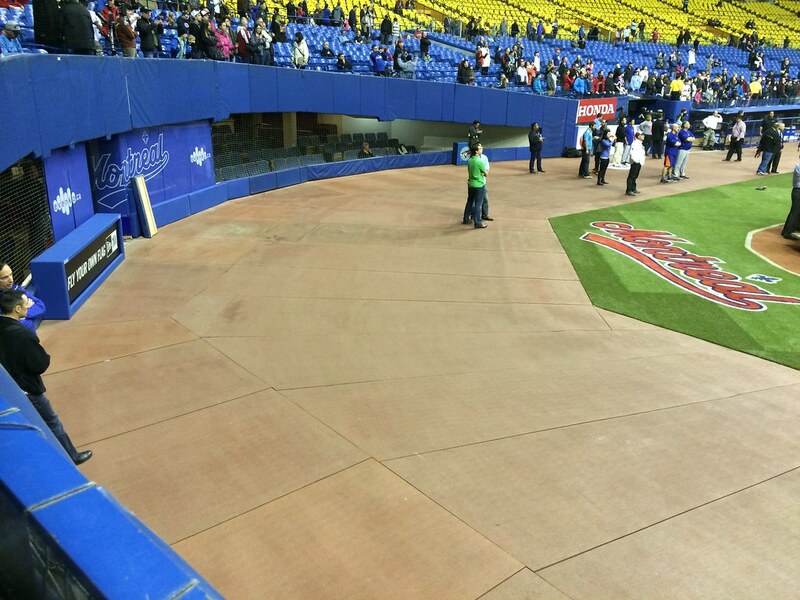 The warning track is a hard solid rubber, rather than dirt. 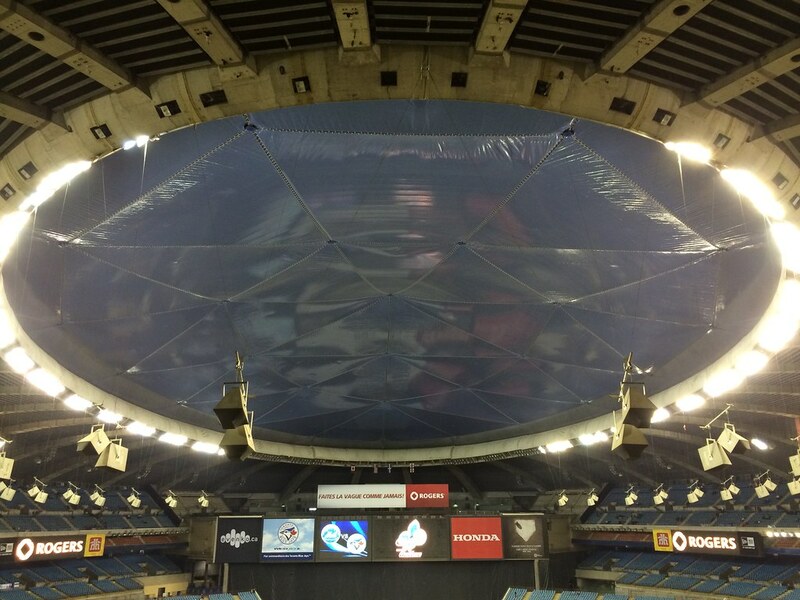 The roof and lights at Olympic Stadium. 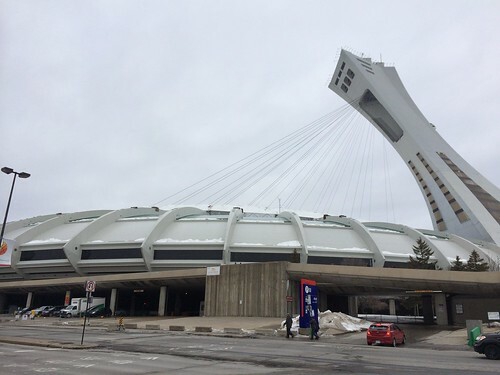 The roof was designed to be lifted off to make it open to the elements, but it never worked properly, rendering the stadium an indoor facility. 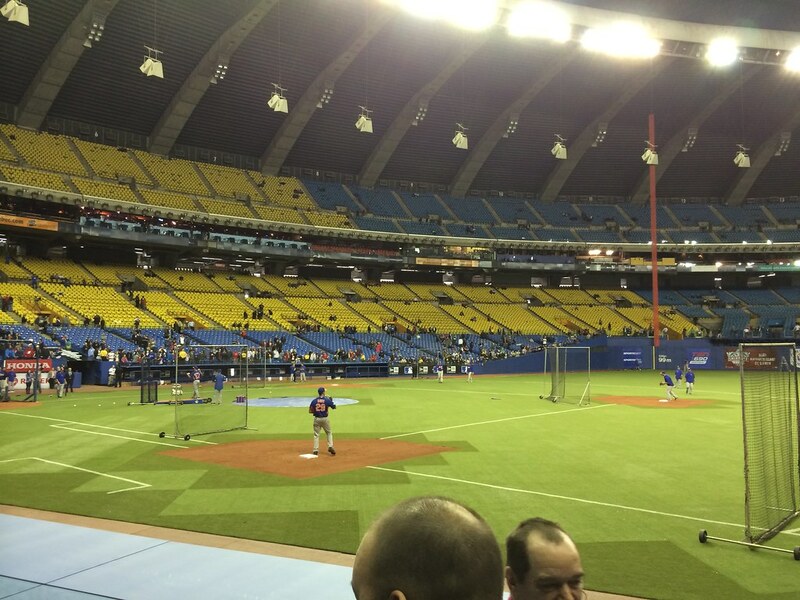 A look down the right field foul line at the large expanse of foul territory behind the plate. 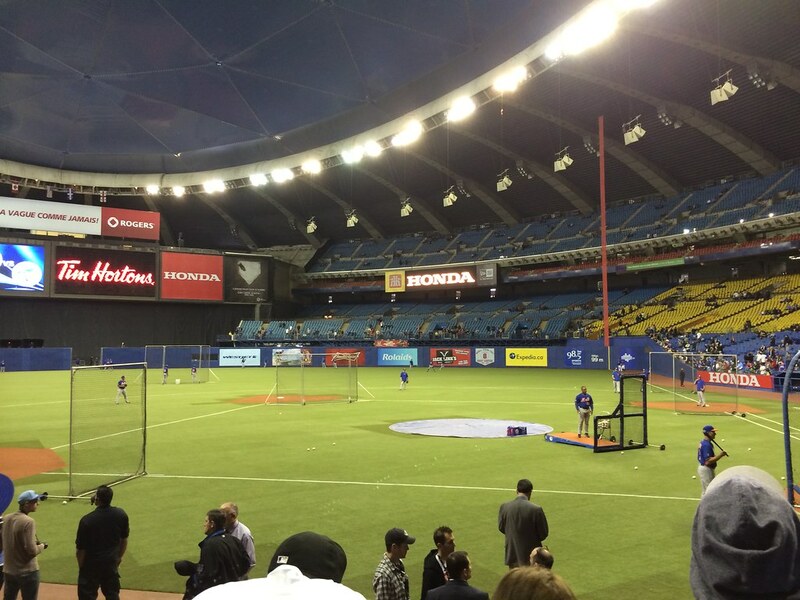 The retractable cloth foul pole extends down from the ceiling, and the distances from the plate are listed in metric on the fence. 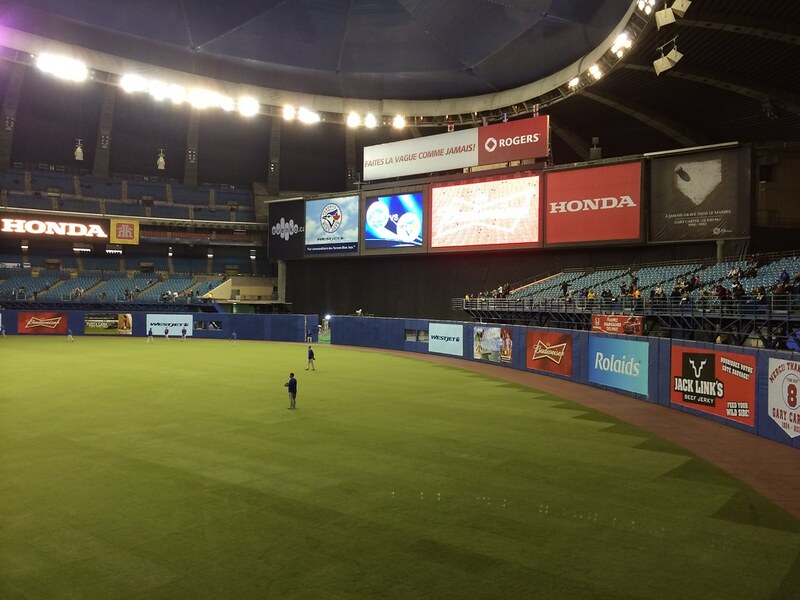 The scoreboard and the modular outfield wall. 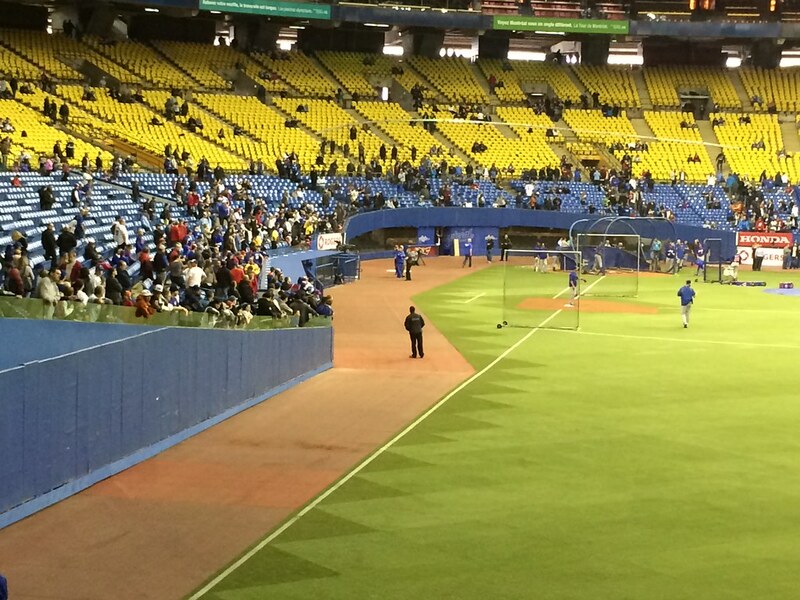 The bullpens, located behind the outfield wall in the large open area underneath the scoreboard. 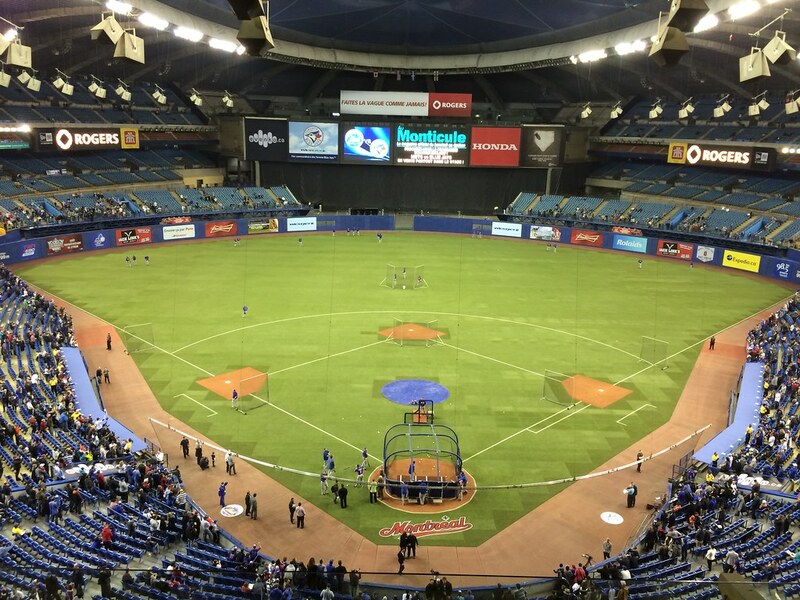 The view from the upper deck, looking out on to the field before a game. 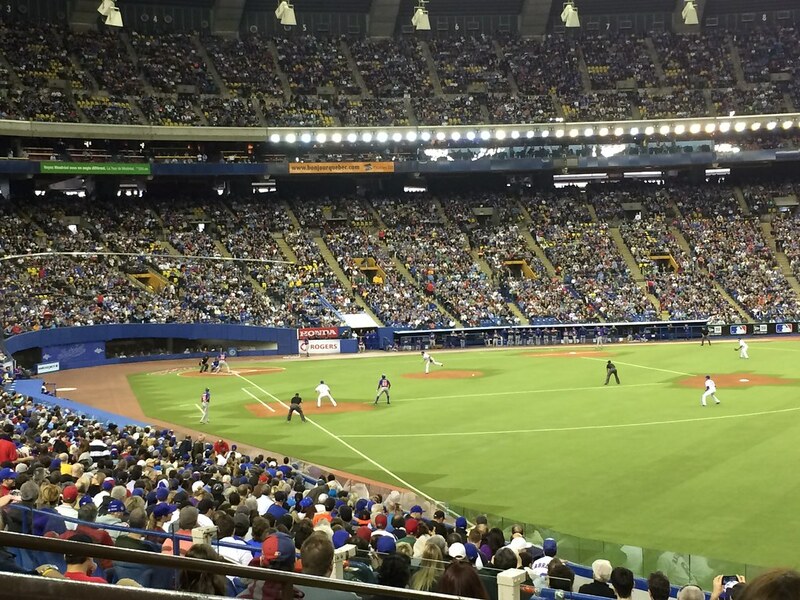 The Toronto Blue Jays and New York Mets on the field during an exhibition game at Olympic Stadium in 2014, 10 years after the Expos and professional baseball moved out of Montreal.